Industry-Changing Professional Brings Over 35 Years Of Excellence In Underwriting Experience To North American Title Insurance Co.
Michael F. Waiwood has dedicated a lifetime to the title insurance industry and brings a unique perspective that spans the course of 35 years across both the agent and underwriting sides of the industry. North American Title Insurance Company (NATIC), a leading national title insurance underwriter is delighted to announce the appointment of Michael F. Waiwood Esq. as the new Midwest Regional Underwriting Counsel. As a key member of the NATIC team, he is responsible for developing and implementing NATIC’s Midwest underwriting standards, guidelines and procedures and keeping them in line with the overall standards set forth by the Chief Underwriting Counsel. His primary role includes working with and supporting independent North American Title Insurance agents with underwriting guidance and risk mitigation in title issues throughout the Midwest. Michael F. Waiwood has dedicated a lifetime to the title insurance industry and brings a unique perspective that spans the course of 35 years across both the agent and underwriting sides of the industry. Starting as the Executive Vice President and General Counsel for Midland Title, Mr. Waiwood then gained dual responsibilities when Midland Security Inc. was acquired by a leading national title insurance underwriter. Quickly rising the ranks from Ohio State Manager to Senior Regional Counsel to President, Mr. Waiwood is no stranger to pursuing and attaining perpetual success. Mr. Waiwood strove for progress within the Title Industry and innovatively established the Ohio Title Insurance Rating Bureau where he sat as president from 2000-2003. It is evident that Mr. Waiwood is determined to break new ground, as is NATIC, and his pioneering attitude is certain to strengthen NATIC tremendously. Garnering numerous accolades over the span of his career, namely his election into the distinctive American College of Real Estate Lawyers in 1989 and named Ohio Super Lawyer in 2006-2007, Mr. Waiwood is an avid speaker on Real Estate and Title Insurance topics throughout Ohio and Kentucky. 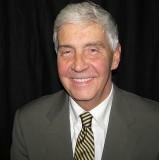 Having served as a Trustee on the Ohio Land Title Association and currently a member of the Council of the Ohio State Bar Association’s Real Estate Section and the Real Estate Law Specialization Committee, Mr. Waiwood, with his accomplished and revered career is a welcomed asset to our organization. "We're very fortunate to have someone of Mike's caliber on our underwriting team,” exclaimed Emilio Fernandez, NATIC’s President. “Mike has had experience at all levels in our industry working with both big and small underwriters. NATIC will benefit greatly from his unique perspective on both sides of the agency and underwriting equation. We are confident his insight will be instrumental and conducive to our expansion." North American Title Insurance Company (NATIC) is a seasoned title insurance underwriter helping customers achieve the American dream of home ownership for over 50 years. NATIC, through its affiliated agency NATC, and vast network of independent agents, conducts real estate settlement services in 28 states. NATIC earned the reputation as the “underwriter next door,” because their associates are always easy to reach and their processes are, at all times, quick and straightforward. The NATIC agency application process is fast and transparent for qualified agents. NATIC has a one-hour underwriting response guarantee that is unparalleled in the industry. NATIC is the largest capitalized company in Peer Group 2, which groups companies with capitalization between $25,000,000 and $100,000,000, as determined by Kroll Bond Rating Agency, Inc. NATIC is ranked 8th by The Performance of the Title Insurance Underwriters© in terms of cash or cash equivalents. North American Title Insurance Company maintains over $67,000,000.00 in cash or cash equivalents. This represents over 92% of the company’s assets and is characteristic of the most important attribute to Title Protection, namely, Financial Responsibility.